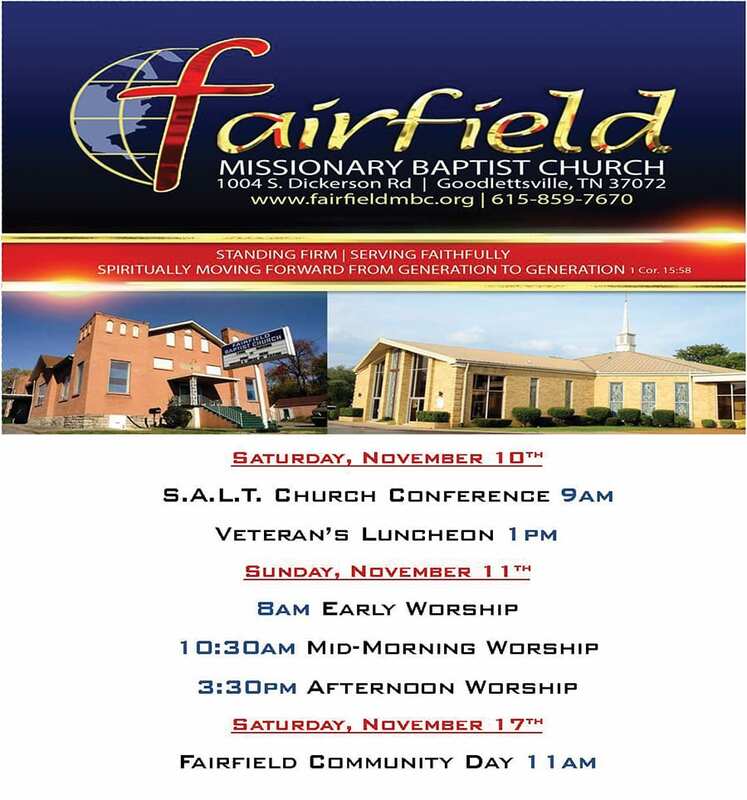 GOODLETSVILLE, TN — Fairfield Missionary Baptist Church celebrates 135 years as “the oldest new church” in Goodlettsville, TN, transforming lives through fellowship, discipleship, ministry, mission, and worship. Founded in 1883, Fairfield is under the visionary leadership of Pastor Howard E. Jones Jr., who has served the church for 30 years. 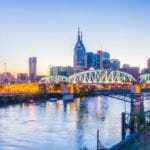 Fairfield moved from 120 Fain Street Nashville, TN to 1004 S. Dickerson Rd Goodlettsville, TN in 2008. Two churches have since united with Fairfield in 2017, Celebrate Life Community Church and Hands of God Ministries. Fairfield is known in the community for innovative outreach ministries such as the Deacon Ernest Jennings Apartment Complex and Kingdom Café & Grill that provide opportunities for affordable housing and jobs. Fish Fry Fellowship & Talent Show is on Friday, November 2nd at 6pm in the Haley Impact Center at Fairfield. This is event is free and open to the public. Family Movie Day will be November 3rd at 3pm showing of “A Question of Faith” starring Kim Fields, Richard T. Jones, and T.C. Stallings. A Question of Faith” features three families from different cultures, who live in the same community; they are complete strangers living vastly separate lives until a texting and driving accident causes them to experience God’s love, forgiveness, grace and mercy. There will also be a discussion on faith in the face of Loss. Pizza & Popcorn available. This event is free and open to the public. The Veteran Luncheon Saturday, November 10th at 1pm will honor Veterans. The cost of this event is $10 and open to the public. The 135th Anniversary Worship celebration will be Sunday, November 11th, 2018 with three services: 8:00 am Pastor Brandon Mason of Locust Ridge Primitive Baptist Church; 10:30 am Pastor Howard E. Jones, Jr., Senior Pastor of Fairfield, 3:30 pm Pastor James Turner of New Hope Baptist Church. A Community Day will be held on Saturday, November 17th 11am-2pm on the grounds of the church that will provide community resources, health screenings, job fair, clothing giveaway, games, and food for the community. This event is free and open to the public.